President-elect Donald Trump talked to his daughter, Ivanka, during a press conference on Wednesday. In a post on her Facebook page Wednesday, Ivanka Trump said she would take a ‘‘formal leave of absence’’ from her executive positions at the Trump Organization and her lifestyle brand — which offers shoes, clothes and messages of female empowerment. President-elect Donald Trump said Wednesday that he would put control of his company in the hands of his sons and an executive, put his business assets in a trust and take other steps to isolate himself from his business. Ivanka Trump said her company will be run by the current president and a board of trustees. For now, she is not taking a role in her father’s administration, but her husband Jared Kushner will serve as a senior advisor. An informal adviser to Ivanka Trump is expected to join the White House. Goldman Sachs partner Dina Powell will be leaving the bank to take a role in the Trump administration, said a source close to the decision who was not authorized to speak publicly and spoke on the condition of anonymity. The source said Powell is expected to focus economic issues and policies relating to women and will work with Ivanka Trump and Kushner. 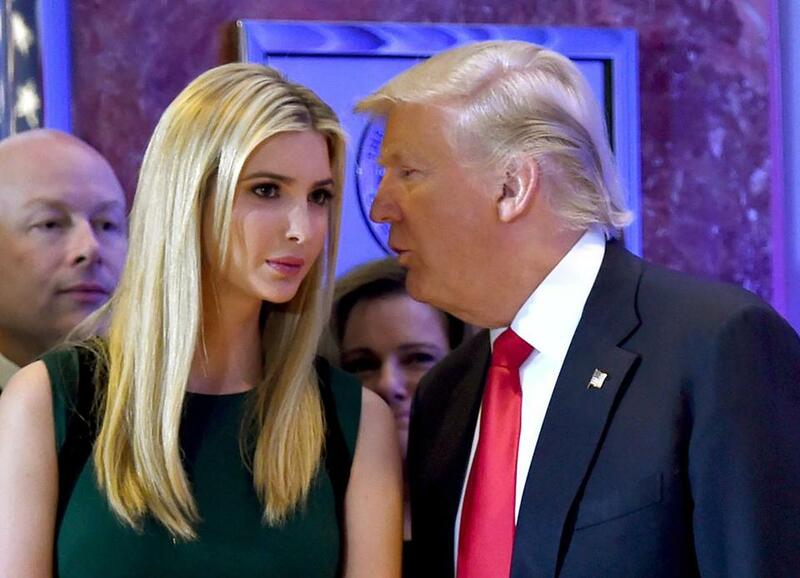 The Trump team has said Ivanka Trump will divest some assets and will receive fixed payments rather than a share of the profits from the Trump Organization. She will also not be involved in the company’s Washington hotel. No details have been released on her financial arrangement with the lifestyle brand. Painter added that if Ivanka Trump continues to have a financial stake in her business, then Kushner must recuse himself from areas that impact it, like foreign trade. Ivanka Trump’s independent lifestyle brand promotes her image as a successful working mother and partners with companies to make the branded blush pink dresses and trendy booties offered in department stores. Just how successful the business will be without her actively involved is not clear. Brand licensing expert Michael Stone, chairman of the agency Beanstalk, said that celebrity-driven brands succeed best when consumers aspire to be like the personality and believe the person is involved with the developing the products. ‘‘I don’t know if just being a role model is enough to drive a product brand,’’ he said. He also noted that it takes time to develop a personal brand to the point that it survives without the person involved, like with Paul Newman’s Newman’s Own products or Perry Ellis fashion. While Ivanka Trump has been successful, she does not have that kind of longevity.